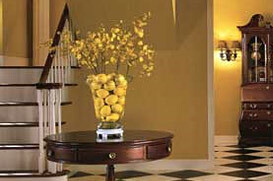 The Loch Alpine Golf Community in Ann Arbor, MI has much to offer the prospective real estate consumer. Most of the homes are in the low-to-high 300’s range, with a few properties just below and some a little higher. The neighborhood itself is situated in a country club which has an 18-hole golf course. There is also several nearby pools, a few parks in the larger area, and several good schools to consider as well. There is a great deal of variety in the homes around the area, including properties that are in a ranch style, a cottage style, a few homes that resemble the Mediterranean style, and even few mountain lodge style homes as well. Many of these are very elaborate and spacious. Some of the homes that have sold in the past have been in the $200,000 range as well. Because of the variety of homes offered, this community would be a good area for the upper middle-class retiree or the professional to consider. These homes are situated in the Loch Alpine Golf Course area, which is a part of the Ann Arbor Country Club. The prospective home buyer of this area should be aware that there are a lot of advantages to living near a country club, and especially one as stellar as the Ann Arbor Country club. First of all, the golf course is a full 18-hole golf course, with a professional staff and leagues for men, women and younger leagues as well. The country club offers a choice of three different tennis courts fully staffed with a tennis pro and an olympic sized competitive swimming pool. The clubhouse is fully functional with space for events and an area for dining. The Delhi Metropolitan Park and the Dexter-Huron park are nearby parks. Schools are under the umbrella of the closest community which is Dexter. There is the Cornerstone Elementary School (K-2nd), Bates Elementary School (K-2nd), Wylie Elementary School (3rd-4th), Creekside Intermediate School (5th-6th), Mill Creek Middle School (7th-8th), and the Dexter High School. There are a few parks in the nearby area as well. The Dexter area offers several restaurants, both chain and regular. Ann Arbor is a ten minute drive away and offers plenty of options for dining and shopping as any city of 100,000 would. If you are relocating to the Ann Arbor/Dexter area give the Loch Alpine Golf subdivision a closer look. We think you will glad you did.